Designing an API that shall last? Then Never update tests! The need to update tests is a sign of an incompatible change. Don't hesitate and make the switch! Apache NetBeans has just switched today! Go is great. Are you seeking a low level OS language? Heard about Go & its benefits? Convinced, or just interested, and still searching? If the latter: Have you considered Java? Because OracleLabs GraalVM NativeImage turns Java into a system language! Read about this alternative to Go. Fighting with deadlocks is hard in normal code. In case of APIs it is even harder. Yet, the advice is simple Never hold a lock when calling a foreign code. See the typical example rewritten to be deadlock-free in the dedicated deadlock page. Stefan asked who shall be responsible for integration in the MultiGitRepository setup? Should there be an integration guy? No, its 21st century and we know how to use Git, right? The right tool is called pull request! As such fire your integration guy! Turns out that one gets very useful MultiGitRepository#Appendix_A:_Local_Collaboration_Area: the master branch in each slave repository of the MultiGitRepository setup is in fact the best place for team members to collaborate without publishing the changes to the final integration destination. Let me introduces MultiGitRepository - aka Git on steroids to you. I have seen a lot of confusion when it comes to working with multiple repositories and keeping them in orchestration, but I believe it is not that complex. Everything we learned about distributed version controls applies. However this time it has to be applied on a completely new level! Master your MultiGitRepository in few easy lessons! Using Default Listener Methods is perfectly fine! Those who remember my recent arguments against using DefaultMethods in APIs maybe the surprised by this statement, but it has to be made. Looks like using Default Listener Methods doesn't violate any practices of good API Design. Thanks Dušane, for pointing that out! What does term Frontend mean to you? Tell us! Recently I observed an incompatible API change and I received following explanation: Everything is OK, my ContinuousIntegration server is still green! In a shock I decided to write a philippic against ContinuousIntegration. If you have to fix your tests in a significant way after making a change to your API, then you should think twice. Maybe such change isn't really compatible enough to become smoothly part of your framework. There is probably a lot of code similar to your tests out there and there is nobody to fix them as part of your refactoring. Better to learn and invest in keeping a bit of BackwardCompatibility. In some sense: When designing APIs, relying only on ContinuousIntegration is bad! Admins! DevOps! In a recent StackOverFlow developer survey the NetBeans IDE has been rated at 10.9% for Mobile Developers and 8.4% for System Admins/DevOps. It is weird, but it supports the feeling I had for a long time: NetBeans is the IDE for DevOps! Let me coin a new term: Turing speed - the real speed a programming language has. The speed of a general (e.g. Turing complete) computation. Read here why we need such classification. Don't use default methods when designing your API. (For example when writing extensible visitor pattern) they just increase fuzziness and that is not what users of your API are searching for! In need of compiling Java ahead-of-time? See jsonparse example showing a Maven project that can turn your Java code into self-contained, small (less than 5M) and effective code suitable for your microservice or lamda as a service setups. Thanks to SubstrateVM! Designing for JDK9 is going to be more and more important when JDK9 is finally about to be released. However the modular design of Jigsaw brings in new challenges. Hear my story where I tried to update a library to run on headless JDK9: because there is a hidden catch - once you try to use PropertyChangeListener you get whole AWT/Swing user interface with that! Learn how to avoid that: DesignForJDK9! Two years ago I asked whether I can design Truffle API without being Domain Expert in the area of partial evaluation. Time has come to summarize my experience. I've written down list of eleven topics that I focused on mostly and (surprisingly even to myself) in most of the cases I was able to apply my APIDesign skills. It is hard to push and pull at once in real life and people tend to know it. Yet I have witnessed many attempts that try to put both approaches into the same API at the same time and pretend those are equal. Small advice from a former API designer: don't do it! For a longer advice please see the pull vs. push essay. Is it JustCode that matters in a project or do projects need more? Is it necessary to have a bug tracking system or can we embed everything in the code? Is it better to keep snapshot of an API in the code or track it independently with additional tools? Check my JustCode essay to see the benefits and drawbacks of both approaches. Because it is always the same. Why do I have ask: where is your Usecase? What this method is good for? What do you actually want to achieve with this method/class/type? Have you considered the difference between APIvsSPI aspects of your design? Do you have a unit test? Is your proposed change BackwardCompatible? Do you have an evolution story for your design? Is your solution optimized for your comfort or comfort of users of your API? And so on and so on... People should read TheAPIBook before attempting to design an API, but they don't and they make the same mistakes again and again. I got so disgust that I feel sick, physically sick, when I have to think about API design. Last weekend Toni asked me to review an API he is creating and showed me what he has. I starred at him, then at the code and at him, etc. for three minutes before I could say a word. Then I had to apologize and describe my current MidlifeCrisis. When I look at an API these days, all I see is the wasted potential the API could have, but it doesn't and never will, because the amount of investment I would have to do to educate the API stakeholder is so huge, that I just don't want to make it. Once you survive it and get to 5th minute, you'll also see interesting demos showing how fast the GraalVM and Truffle can be. Thanks again GeeCON guys for giving me a chance to speak at your keynote. 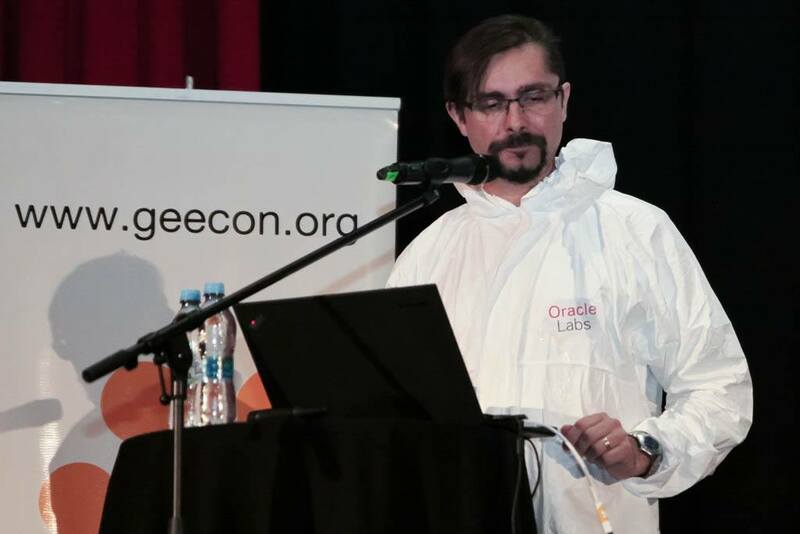 GeeCON has come to Prague and I had a the pleasure to do an initial keynote talk. It is so great when such conference comes to your home town! Thanks a lot dear, GeeCON organizers! AutoUpdate is a fine NetBeans technology that can help you distribute things may see non-distributable. Here is a small demo that shows how one can fix broken NetBeans 8.1 installation. Is Swing's openness reason for its so bad reputation? Or go to YouTube page. There are two pitfalls of an APIReview. Either there is no code to review or there is too much code already written. The too little code case can easily be fixed. As Linus Torwalds use to say: Talk is cheap. Show me the code! However what to do when APIReview brings in complex, complete solution with code almost ready for integration? Isn't that insulting? What kind of review one is supposed to perform then? Claim that the solution is completely wrong? That won't make the author happy. On the other hand coming for an architecture advice with fully working version isn't polite to reviewers either. Shall we read it as: Look how great I am! Approve the APIReview now! Maybe there is a way to handle such review as well. But it remains to be seen if it works. Wish me luck. Another variation on the topic of builder patterns. A builder that can track N essential attributes and whine (by throwing a checked exception) until all of them are specified. Learn how to make your builder whine! Hear the news! A new creature of the API design patterns rare species has been discovered. It looks like a builder pattern, but it ducks like something else. If you take a closer look you'll find out it is a chameleon! It changes its return type depending on its state. Do you want to protect your own builder like a chameleon? Follow this link and learn the trick! Once you discover the beauty, you'll not stop until you get your own chameleon builder into your own design! Here is a nice extension to the builder pattern that allows one to control whether the final build() method throws a Checked IOException or not. Enjoy this new addition to the list of APIDesignPatterns. This shows how extremely portable applications written with netbeans:Html4Java APIs are! In fact you can write your application code first and because it is completely independent from the UI, you can completely revamp the UI later. My MineSweeper application available from AppStore is gone. Apple wants me to pay remedies every year! For what!? Apple has no cost distributing my application. I am giving up. 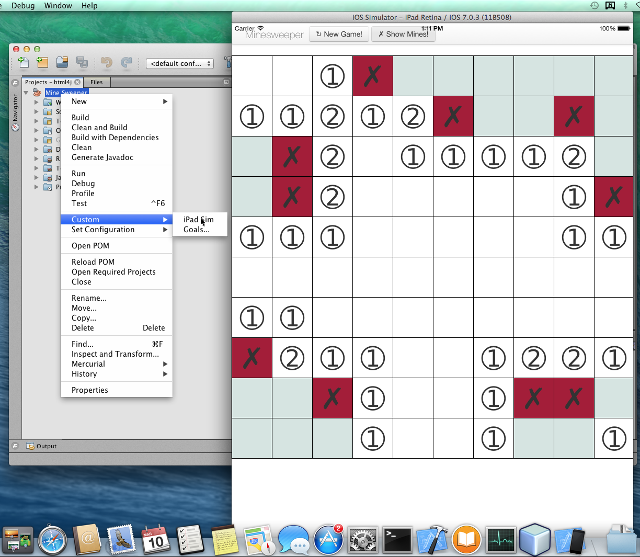 If somebody wants to distribute my MineSweeper, please go on, but I am giving up - giving up on Apple. I'd like to announce that the new version of HTML/Java API - e.g. 1.3 is ready for usage. The javadoc is at http://bits.netbeans.org/html+java/1.3/ - and the bits has been uploaded to Maven central. Checked exceptions are Java invention and many like to argue that they are the worst invention ever. I like exceptions and I like Checked exceptions. Today I am ready to explain why! Do you believe people should only use runtime exceptions? That checked exception add too much overhead? Then you are wrong! I agree that the concept of checked exceptions in Java has some drawbacks, but I am ready to explain how to overcome the restrictions and uncheck your checked exception whenever you want. Enjoy! Today my colleagues from NetBeans noticed that my website - wiki.apidesign.org is under attack. Yes, since Jan 16, 2015 there were more than 5000 randomly modified pages. Maybe my talk in Grenoble was so popular that it attracted that much attention!? Anyway I had to revert back to older copy of the database and re-apply my edits manually. Not everything looks the same as it did before, but hopefully no texts are lost. The daily work on Truffle compiler team and the time I got when traveling from Snowcamp at Grenoble gave me a chance to speed Bck2Brwsr up. The sieve being a nice - e.g. small and focused - benchmark. Originally the algorithm couldn't be finished in a reasonable time when running on old version of Bck2Brwsr, but knowing what optimizing compilers seek for, it was relatively easy to speed it up ten times. With great pleasure I announce that Bck2Brwsr, the most complete Java VM in browser (that can run Javac as shown by Dew project) has been sped up many times being at most three times slower than HotSpot. Given the primary goal of Bck2Brwsr is modularity and not speed, I consider it a good sped up even knowing there is a room to make it even faster. Enjoy the Bck2Brwsr 0.17's speed! In September 2015 I decided to update the MineSweeper on AppStore to version 3.0. With a great pleasure I can announce that now, on December 18, 2015 the version is alive! Why it took so long? Well, Apple's itunesconnect website is unusable - it isn't enough to upload new version of your application and press button Request Review. The user interface is completely messed up and hidden to make the process as obscure as possible. As a result MineSweeper was laying on the AppStore for six weeks before I found the right address (also pretty hidden) to complain at and was explained what is wrong. Then, of course, the usual reject. This time it was due to Using images that resemble(!) Apple logo - yes, the MineSweeper is using Safari and iOS icon (check the on-line version). But these icons were present in the previous AppStore version as well. And version 2.3 was approved! Clearly the whole review process suffers from the human factor of the reviewer. What some reviewers find appropriate isn't appropriate for others. 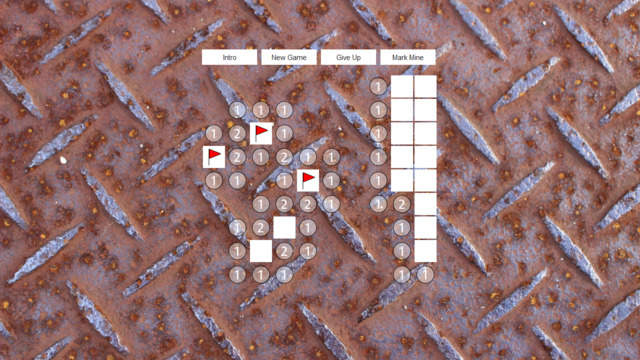 Enjoy version 3.0 of Fair MineSweeper on AppStore. Visit https://itunes.apple.com/us/app/fair-minesweeper/id903688146 to play fair! Truffle project is using Sigtest since today. I am maintaining the Truffle APIs since May, 2015 and I was applying my best knowledge and skills to design it properly. However I have to admit, I was operating in a blindness. Without having tests it is hard to decide whether your code change doesn't break your product. When designing API, it is important to know whether a change is or isn't backward compatible. Without a tool like Sigtest, it is almost impossible to do that manually! Every project that designs an API needs an automated compatibility check. Learn what it takes to introduce such checks into your project by reading about the TruffleSigtest showcase! OracleLabs has a team in Czech Republic and is looking for new candidates to expand it. Innovation is feeding us, but that doesn't mean you have to be a scientist. We have enough clever people - we need also somebody to work! In case you are interested in conquering the world with the fastest (J)VM on the planet backed by a strong tooling (based on NetBeans) write to me. Speed of Ruby has never been great. There were many attempts to improve it, but none delivered on its promise. All failed, but one! JRuby implementation running on top of JVM spiced with a bit of Truffle and Graal is in fact ten times faster than standard Ruby version. Watch this video to see how can Java and its virtual machine help those other poor and slow languages! I'll be speaking at JDD in Krakow in middle of October. 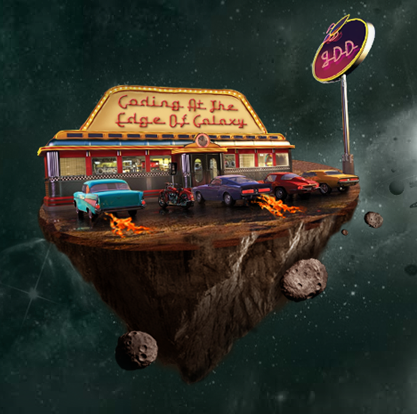 In case you have a Java related message to deliver to the JDD galaxy, leave it here. I'll do my best to deliver it. I enjoyed Krakow JDD conference in 2013 and based on my experiences I wrote the languages essay. Now I am invited to speak at JDD 2015 about Truffle and Graal and while there I am also going to do a workshop about DukeScript. Cross platform UI library called HTML/Java API (which is developed by the NetBeans project) is proud to announce that version 1.2 has just been released on Maven central. See javadoc to find out what is new in this version! The project is also glad that binaries of the new HTML/Java version 1.2 are now included in forthcoming NetBeans 8.1 release making it easy to develop wizards as well as components and dialogs in a cross-platform manner (e.g. able to run in NetBeans platform applications, IDE, Eclipse RCP, plugin-less browser and thanks to adoption by DukeScript project also on iOS and Android). HTML/Java API is the heart of Java that is written once, and displayed everywhere! The picture shows NetBeans debugger stopped in middle of simple language (an artificial language used for demo purposes) method. NetBeans knows nothing about simple language (that is why syntax coloring is missing), but as NetBeans understands the Truffle AST, it can still provide enough valuable information in the debugger. Please note that the name of the method is properly recognized and shown on top of the stack. Variables a and b and their values are properly shown as well. Designing your own language? Do you want to spend time writing a debugger? If not, use Truffle and you'll get your debugger for free! Enforcing proper usage of an API is hard. One needs to strive for clarity, one can invent engineering solutions to the problem, but at the end clever hacker always find a way around it. But there is a cure: Let's choose our licenses wisely and scare the hackers with legal actions! What is the relation between I18N and API design? Should API be internationalized and localized? Domain Expert is a person who has knowledge of a particular system. With such knowledge it may seem easy to design APIs for the domain. However without understanding the API Paradoxes the quality of such API may not be high. It is likely going to cover the domain field, but the API usability or readiness for evolution will very likely suffer (unless such Domain Expert reads TheAPIBook first). However can it work backwards? E.g. can one be just an API expert and then design good enough API without appropriate domain knowledge? This is a new situation for me: In case of NetBeans or in case of HTML/Java APIs, I was also the architect of the system. I knew it by heart. Now I barely understand how Truffle works and what makes it the fastest execution system for dynamic languages. My biggest fear is that I will design something that will be inherently slow. On the other hand, I am not yet damaged with the expert knowledge. I can still see the system with new comer eyes - just like you, users of Truffle will. As such I can perform a usability study on me, at least initially. If I can design easy to use APIs for Truffle, then I can create a perfect API facade around everything! Soon we'll have a chance to see whether one can be good API designer without being real Domain Expert. Soon we'll find out if API Design can be offered as a service! Update from summer 2017: After TwoYearsWithTruffle I'd say there is a lot of things one can do to design API as a service without being a Domain Expert. My friends keep talking about the greatness of Gradle. It is hard to stand it, especially knowing there is a significant flaw introduced in Gradle's core. The flaw is so huge that I rank Gradle along Ant. Into Ant-age! Bugfix release of Bck2Brwsr 0.13 is out and it powers another classical game: fifteen. Give it a try! Bck2Brwsr 0.12 has been released. What is new? Supporting Bck2BrwsrBlobURLs so one can display images available as in JAR resources. Happy Year 2015 and please help me get Java Bck2Brwsr! BinarySelection means, that "ones" leave and "zeros" stay. I mention this definition whenever we chat about life of software developers and it always generates grin smile. Of course, because it is so true! I can confess that as for last seventeen years I have been sticking with my job surviving any layoffs and acquisitions: I've seen so many "ones" leaving, but the rest of us is still marching on! See the tutorial at OSGiWrapper. Long live Java and HTML on every device (iOS, Android and co.)! When I was younger I used to believe that having invokeDynamic instruction in JVM can be beneficial. Now, few years later and after spending time to implement lambdas in my Bck2Brwsr VM and seeing things from the other side I have to admit I was wrong. invokeDynamic is wrong idea (especially for implementation of lambdas). JavaOne2014 is around the corner and my sessions have been scheduled. I start with a BOF on Monday evening called Virtually Inside-Out! - it is going to be discussion between authors of alternative JVMs. So far we are two: I have mine Bck2Brwsr and Niklas has RoboVM. 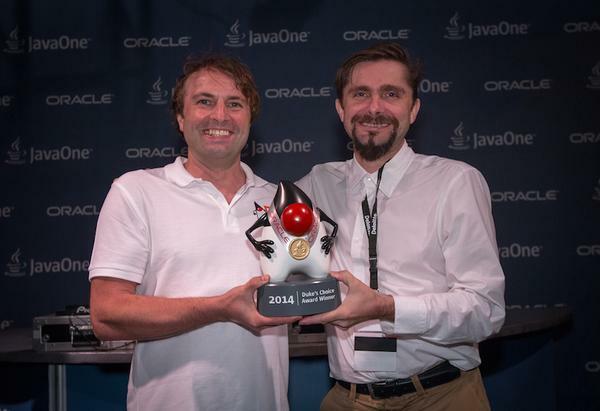 Don't you know a developer working on own JVM who will be at JavaOne2014? If so, please tell him to contact me and stop by! I plan to make the BOF a lively chat (how did you implemented lambdas?, how did you implemented defender methods? ), but in case we don't have a topic to talk about, I am ready to explain why value classes should not be in JVM and why InvokeDynamic is a completely stupid idea. Anyone from JDK team to defend these proposals? On Tuesday morning Toni and me will continue with DukeScript tutorial. In case you use Java and want to learn how to code for iOS, Android, JavaFX and browsers, stop by. We will help you create your first application that is written once and displayed anywhere! I'll finish on Tuesday noon talking about API Design checklist. I'd like to name at least ten things one should check for, but so far I have about two. Don't you have any idea what could be in such checklist? If so, please talkback! And don't forget you can use NetBeans to develop such applications yourself! Install DukeScript NetBeans support. Hear the news: Sources in ZIP format are back! My Hudson server crashed in early months of 2014. I had to configure it from scratch. While doing so, I forgot to configure the job to produce apidesign.zip file with sources. Has anyone noticed? Nobody sent me an email! Just yesterday Jáchym, my co-worker, who I torture by forcing him to read TheAPIBook and become good API designer, stopped in my office and timidly asked: Where can I get the sources? There is no ZIP file! For a while I tried to blame him for not using Mercurial, but after a while I realized the problem is on my side. As a result, the zip file with sources is back as of Aug 8, 2014. Will anyone use them? 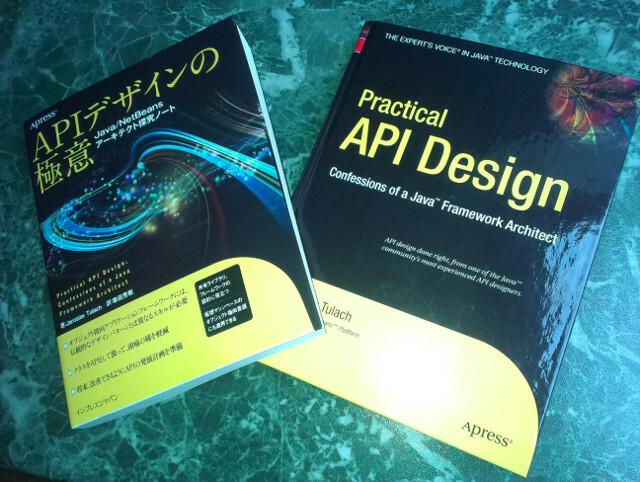 It would be nice as reading Practical API Design book without having whole sources at your hand is like trying to understand Swing just by reading its Javadoc. 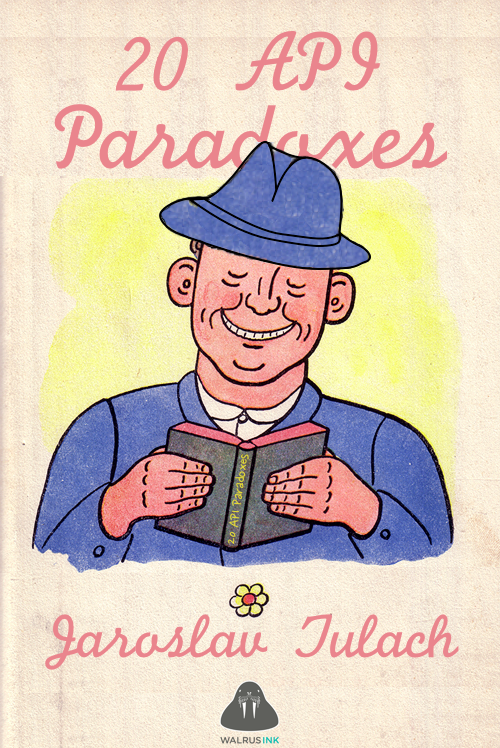 Cover of Japanese translation of TheAPIBook. I am amazed, the book is about 30% shorter, yet is seems to contain all the content of the original one! Optimized the ahead-of-time compilation, so now the http://xelfi.cz/minesweeper/bck2brwsr/ demo starts up instantly. I had to do it, because it was so embarrassing to see TeaVM to boot the same application so quickly: The initial delay is gone, and moreover it downloads necessary libraries in parallel and on background. Now we are ready for next step: share the libraries between different applications. Epistemology of software design by Nathan is online! I greatly recommend it to everyone who wants to produce software that lasts! After all those years with NetBeans I can only confirm everything Nathans describes! If you want to stop being a software engineer and become software architect, epistemology of software design is one of the things you have to memorize! By lowering profile of our libraries, we can make them more ready for JDK8. Here is few patterns one can use to adopt own library to JDK8 profiles. Lower your profile, let (your library usage) get higher! See video showing the power of the synergy between NetBeans 8.0 and Nashorn! As paragraph on page 154 shows, it is not easy to find out what a meaning of it, this and that may be. Thanks Yoshiki for contributing this first Errata for Chapter 9! Part 1 presents all of API design as a scientific discipline with a strong rational background, not as the art that it sometimes pretends to be. It defines terminology and initial prerequisites that can objectively help us measure if an API design is good. These rules try to be language neutral and applicable to any programming language, not just Java. The theory is unlikely to be complete. Other principles of API design exist elsewhere or are still waiting to be discovered. However, that should not scare us, as Chapter 1 gives us a tool to evaluate the quality of various principles to find out whether a certain piece of advice helps us design better shared libraries and their APIs or not. It gives us the grand meta-principle: selective cluelessness. This cluelessness is a tool that can measure whether various goals really help. That’s because if they allow people to know less while achieving more and building better software systems more easily, then this advice is good. There is a need for this advice, especially in the future, when software systems will outsize the intellectual capacity of any of their designers. Yoshiki: What do you mean by this advice? "this advice" is a reference to advice mentioned in "to find out whether a certain piece of advice helps us design better shared libraries". To rephrase: any advice that helps users increase cluelessness is good and it will be even more valuable in the future when we start to build even bigger systems. The Japanese translation of my book has been in progress for several months. Recently I've been asked by Yoshiki to write a preface. I wrote one and I tried to express how wonderful experience it had been to participate in the Japanese translation. I believe the Japanese version of my book will be great. Thanks Yoshiki for your work. Dear (Japanese reading) readers, enjoy! I am pleased to announce there is now a way to develop applications for iOS using your favorite language (I mean Java) and your favorite development IDE (I mean NetBeans). With the help of Prague's JavaFX iOS team we now have a NetBeans plugin that helps anyone develop JavaFX based Java apps for iOS. Many thanks should also go to RoboVM guys for creating such easy to use Maven plugin. I have discovered a nice checklist of guidelines considered good for API design. Scratch is getting better and better. If you have not done that yet, give it a try! The profiles support is coming for JDK8. Not only it is coming, it works! In case you are searching for a small Java, give profiles a try. They are easy to start with. 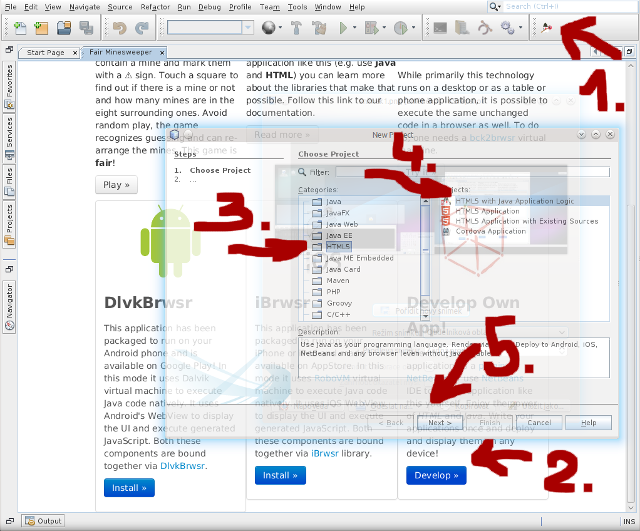 The more you fiddle with DEW and the more you alter (and save) the samples, the more we will help Java get Bck2Brwsr! Language that you speak and write defines what you can think and reason about. The worse language you can use the better programmer you are. Right? References and WeakReferences play important role when designing an API contract or building a framework. Are you sure you use them properly? Read about problems we had when messing with WeakReferences in the Lookup API. I've just updated instructions to use bck2brwsr 0.8 from command line. Me and Jonathan Fuerth also verified that the Bck2Brwsr Maven archetype can now be used in Eclipse. Nothing can stop us from bringing Java Bck2Brwsr! Debugger is a very useful tool. I greatly recommend it to everyone who asks stupid questions on mailing lists and reports vague bugs into bug tracking systems. If your application does not work: use the debugger! Read here to learn how. A curious translator of my book asked me about project Harmony. That motivated me to sit down and write an incomplete and mostly wrong history of open source java implementations. While incomplete (for example it does not talk by whom Harmony was founded and why), it explains why JDK8 is/will be a huge step forward and what will be its most important feature. Btw. if you thought lamdas, you were wrong. Short introduction to accurate, agile, modern, reliable, flexible, optimistic, forward looking, experience based, projective planning methodology. Those of you who heard about Platon in school probably also hard about his allegory of a cave (at least I did when I was at high school). It is not often easy to imagine what Platon meant by the cave, shadows, etc. Luckily (at least for developers who know what geometry is), there is a better explanation which which explains Platon's theory of ideas via geometry. This geometric way of explaining [[ideas was much easier for me to swallow. That is why I decided to share it here. Here are selected notes from my favorite write up by Edsger W. Dijkstra (the guy that invented semaphore). Few decades has passed since the initial publication and the difference between U.S. and Europe may not be as sharp anymore. Still, a lot of Dijkstra's comments apply - especially when it comes to the clash between programmers educated in soft vs. real science schools! Btw. should this kind of analysis be found interesting, I can share another one: Why our U.S. friends can't read maps and are not aware of that. Just let me know if I should publish it. A theoretical observation about a hammer with application to real world scenario as well as software user interface design. A nice clash between real world and academic attempts to describe it can be seen on the case of TransitivityOfIncompatibleChange. While such transitivity is an easy to grasp concept, it is too simplistic and often too hard to apply for the real world of software dependencies. It took me a while to understand its alternative, but now I think I see it. 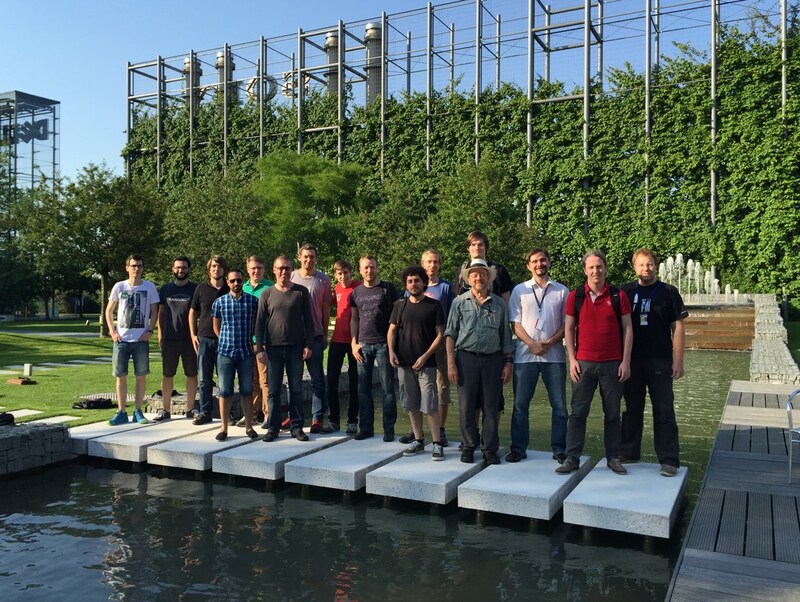 Last week I had a presentation about the topic of NP-Complete problems in module dependencies at MatFyz and one of the questions was: Why am I not using TransitivityOfIncompatibleChange in case of repositories with RangeDependencies? Well, I don't as it does not have a clear meaning. But the question forced me to sit and write the answer down. Hopefully not only MatFyz guys find the essay useful. Just a few thoughts about the difference between language and a framework (plus a wish how Java should evolve). I asked Clay to select cover that would somehow reflect my relation with my home and I am glad he decided to use painting of Josef Lada - a painter of my childhood. I hope you like the cover too. And not only that, I hope you'll like the content as well. Buy & enjoy! Found reading some stuff on your site really interesting. I have not finished reading yet, so, forgive me if you already know this, but I was reading the article DiamondsVsStars and wondered as I read your comments regarding the "something in the air" as people around the world all discover something at the same time, if you were aware of the 100th Monkey principle? There are different versions of the tale, but essentially, there was an island with a load of monkeys that learnt a trait one at a time of how to knock nuts with a rock to get inside them (other versions of the story are about learning to wash them, but the principle is the same). It took a while for monkeys to copy each other, one at a time, and the speed of uptake was essentially linear and at a fixed rate until they reached the 100th Monkey. At this point, every monkey on the island, and every monkey on the three neighbouring islands all started the same trait, almost instantly. The point is: A species appears to be connected at some vibrational level to the extent that they share certain thought processes/notions. There is a tipping point (apparently this is the square route of 1% of the population pool / or 100 monkeys ) where once reached, this information is availiable to all. Almost as if an entire species are listening on the same multicast address. Anyway, hope you find as interesting as I found your stuff. For more info see 100th Monkey at wikipedia. Thanks, for sharing this observation, James! Here are some thoughts on the difference between 100% BackwardCompatibility and their slightly more practical variants. An user of an enum might want to ensure he has processed all its fields. This can be problematic when the user doesn't own the enum, such as in an API. Someone asked: I guess that, roughly, a client API should use abstract classes while a support/provider API should use interfaces? This page was last modified 20:01, 20 March 2011. This page has been accessed 98,650 times.